Stella Jones Vocal & Stage Coaching Lessons are based on vocal techniques that have been practiced in the US for decades in Show Business, Performances, Musical Theaters and Voice Trainings for Actors & Actresses. 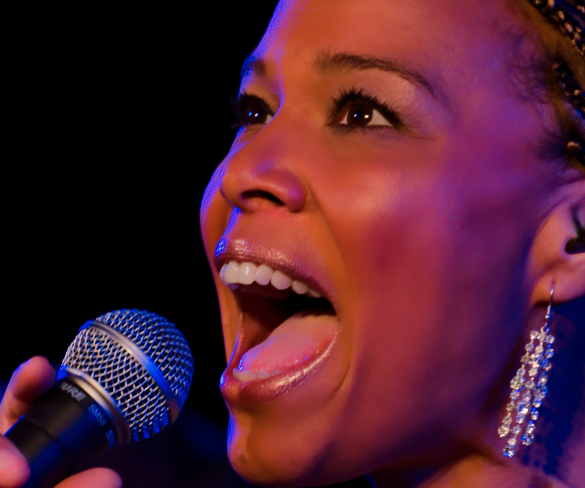 She studied various vocal techniques beginning at the age of being five years old, including Paul Mason, Richard Miller, James Mc Kinney and got inspired by the Voice Technics of many other Singers. Through years of musical collaboration with stars such as Taylor Dayne and Gloria Gaynor, Stella became aware of the work of celebrity vocal coach Roger Burnley (Hollywood, LA) and studied his comprehensive mental coaching, in addition to familiar techniques. Her VOCAL & STAGE TUTORIAL entitled SINGING WITH THE STARS with over 250 Singing Lessons including 3 Songs of Stella Jones is a ultimate support and inspiration for a daily practice for singers and actors. SINGING WITH THE STARS is available here.